Michael Swanwick takes us on a whirlwind journey across the globe and across time and space, where magic and science exist in possibilities that are not of this world. These tales are intimate in their telling, galactic in their scope, and delightfully sesquipedalian in their verbiage. I requested this book via NetGalley to review because the title and description sounded intriguing. When I started the book, however, the intrigue fell away a little. 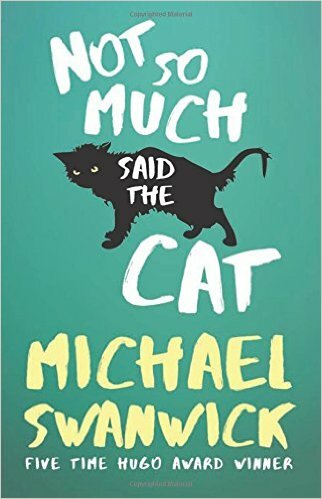 Not So Much, Said The Cat starts with an introduction from the author, talking about his writing journey and how this collection of short fiction came to be. Unfortunately, the introduction read very self-aggrandizing and I’m still not sure if it was intended that way or just came across that way by accident. But I put that aside and jumped into the world of the first story, and enjoyed it very much! I’ve seen other reviewers all say the same – the first story is a great start to this collection and definitely makes you want to read more. However, the book is only 288 pages, which should be a very quick read, but it actually took me over 2 months to get through it. Which is a downside for me, but for anthology lovers maybe that would be a positive? Each story was a different genre to the last, jumping around between fantasy, sci-fi, fable-type fiction and more, to the point that I could only read one story at a time and needed several days (sometimes a week or more) between them to get my brain ready for the next genre switch. I’m not sure why the author (or publisher) planned the stories in this way. There were several of each genre in the book and I think it would have been a more enjoyable read to have more fluid genre transitions, from fantasy through to sci-fi crossovers, then pure sci-fi through to the fable-style stories, etc. 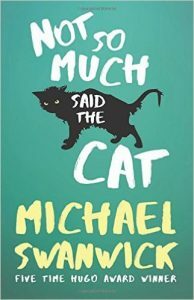 The way they were all intermixed felt very “bitty”, and frustrated me a few times that I couldn’t just relax and read several at once. For example, “The Dala Horse” was such a swift change in genre and setting that it pulled me out of the story too much at first – I found myself thinking “wait, where am I? What setting/world is this?” instead of just enjoying the story. And “3am In The Mesozoic Bar” was a flop for me because it took too long for the story to show you what was going on. I think it (and many others) would have read differently if I’d known upfront which genre I should be expecting. You could definitely tell the same author wrote each story, even with the different settings and protagonists the language and writing style was much the same. But that alone wasn’t enough to tie the collection together for me to read more than one at a time. The stories themselves are mostly good – a couple are very good, then they become “ok” the further into the collection you go, with one or two not grabbing me at all. But you have to expect a mixed bag with a short fiction collection that crosses so many different worlds, genres and characters. The ones I enjoyed (such as “The Man In Grey”, and “The Woman Who Shook The World Tree”) had strong plots, characters, and I mostly enjoyed the author’s writing style – very accurately described in the book blurb as sesquipedalian. “An Empty House With Many Doors” was a surprising treat later in the collection. The worldbuilding was interesting and it was great to have an emotional rollercoaster through such a short story. Overall I think the collection is an OK read, very middle of the road. I don’t think I’d recommend it to anyone personally, but if you enjoy mixed-genre anthologies you might feel differently about it than I did. I received this ebook via NetGalley. The opinions are my own and I received no compensation for my honest review. I am an Amazon Associate: they pay me a small commission if you use my link. 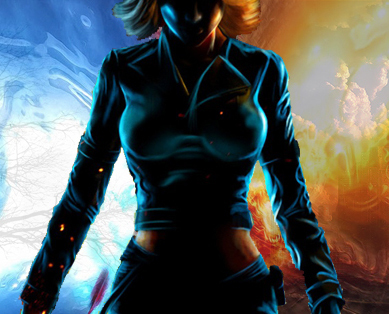 I'm a budding author of Urban Fantasy - check out my author site for novel updates, short stories, and all things writing.